Sonoma County Pachamama Alliance (SCPA) and Aqus Community present an Introduction to DRAWDOWN, book and workshops to engage people in reversing global warming, Wed. Feb. 13th, 6-9pm at The Bank Hub, former Seed Bank, E. Washington and Petaluma Blvd., Petaluma. The DRAWDOWN Introduction is followed by a series of 5 workshops designed to enroll activists and will be facilitated by Pachamama spokesperson, Nelson Barry. Pachamama has protected a large swath of Ecuador’s Amazon rainforest from development by oil companies for 20 years, uniting eight indigenous tribes to protect their forest home from the fossil fuel industry. DRAWDOWN, together with Sunrise Movement/The Green New Deal, Cities Declaring Climate Emergency, The Rights of Nature Initiative, Extinction Rebellion and emerging groups, aims to move our culture away from unsustainable consumerism and fossil fuels – to adapt – by greatly reducing CO2 emissions, sequestering carbon and supporting climate justice. 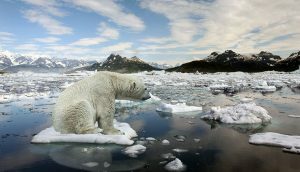 Clean energy, transportation, food sourcing, green building are amongst urgent challenges and a huge shift in human activity must occur in the next ten years to avoid the worst of climate crisis, which could, unstopped, make our world uninhabitable. John Crowley, Aqus Café and co-sponsor, concluded on first look at Petaluma using Geographic Information Systems (GIS) that projected sea level rise would also put downtown Petaluma under water. This DRAWDOWN Introduction is a free event. The DRAWDOWN book is a “living document,” a work in progress, and is available at bookstores everywhere.